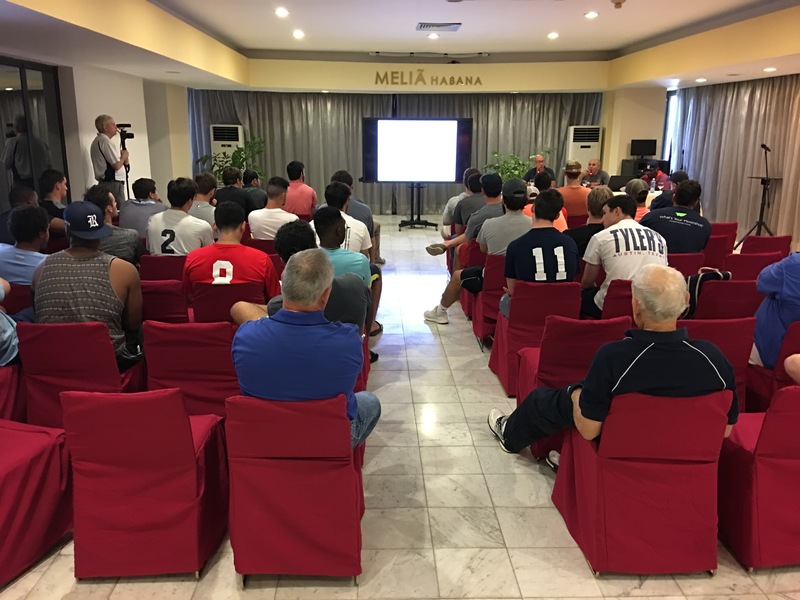 On their last day in Cuba’s capital city Havana, the Rice Owls baseball team had a full day of educational and cultural events. The day started at the government-owned Partagas Cigar Factory. 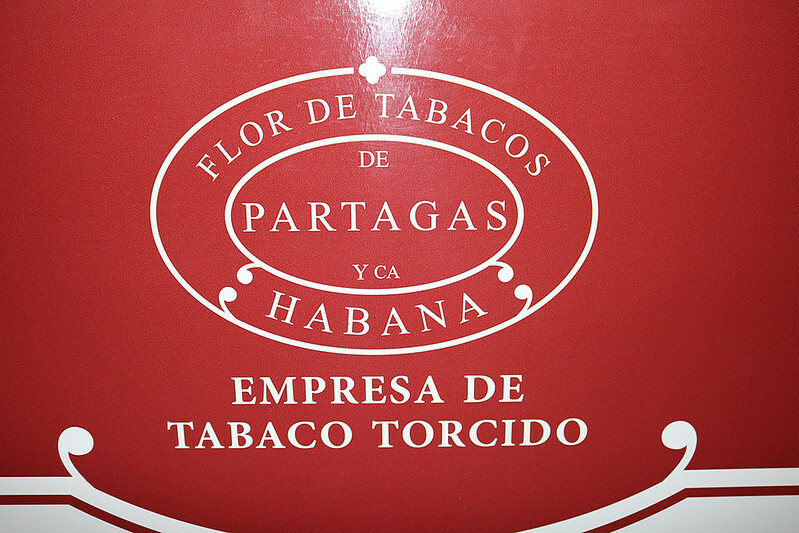 Partagas is one of the oldest existing cigar brands, established in Havana in 1845. On Tuesday (Nov. 29), the guys visited a farm in Vinales, where they learned about growing, preparing and packing tobacco leaves. 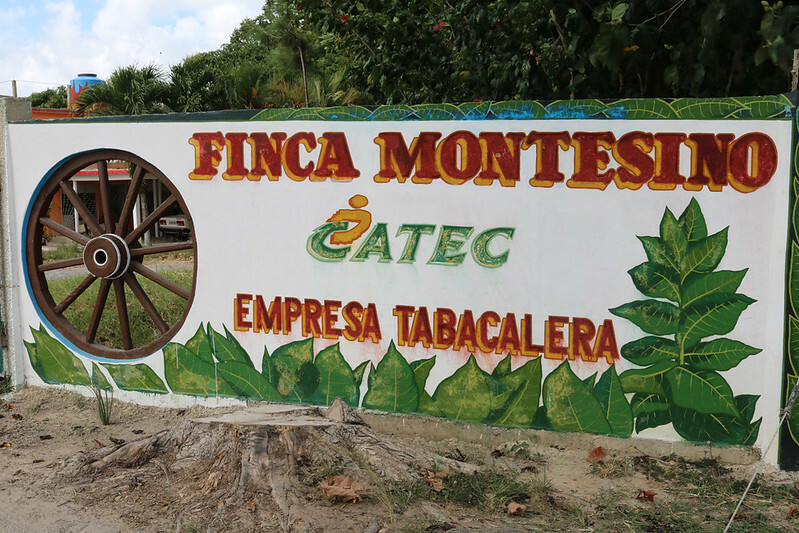 Vinales is said to have the optimal soil and weather conditions for the what is largely considered the best tobacco in the world. In our Flickr photo gallery, we have limited pictures of the factory due to their photography rules. The Owls were given a tour by a company employee, Olga, which included visiting with professional rollers and apprentice rollers. The apprentice rollers go through a nine-month training program before they earn a government certification to work with cigars. They then visited the factory floor, which is located on the fourth (top) floor of the the narrow but atrium-like facility. There they saw workers assemble cigars by hand in two big open spaces, on one side there were approximately 75 professional rollers and close to that amount of apprentice rollers on the other side. Nowadays rollers wear their own earbuds and listen to their own entertainment, such as music, but Rice Professor Luis Duno-Gottberg said that for many years there was a sole employee called a “reader.” That person’s job was to read from the newspaper or literature all day to lift morale or inform and educate the rollers. Matter of fact, reading was such a big success that two Cuban cigar companies took their names from literature that was read to their employees — Romeo and Julieta and Montecristo. After the tour, the team left Old Havana and took a short bus ride to the Hemingway Museum. 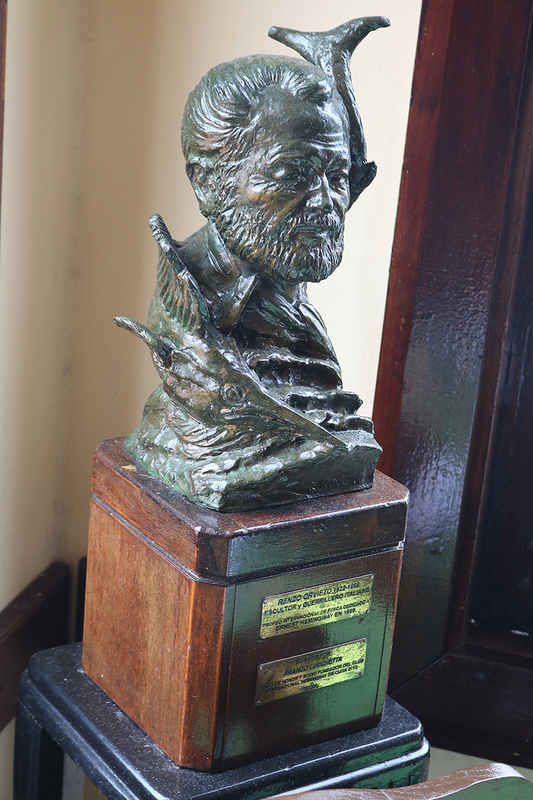 The museum is the former home of the famed writer Ernest Hemingway. 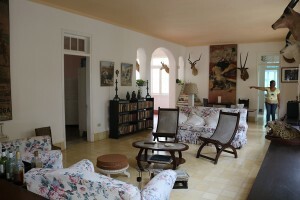 Hemingway willed the property to the Cuban government. The home, which is said to have been left mostly intact, isn’t really a mansion but more like a really comfortable seaside retreat. Finca Vigía, or “Lookout Farm,” was where Ernest Hemingway had made his home from 1939 to 1960, and where he wrote seven books, including “The Old Man and the Sea,” “A Moveable Feast” and “Islands in the Stream.” Hemingway left the island for good in 1960, the year after Castro overthrew the dictator Fulgencio Batista—and the year before Hemingway took his own life in Idaho. We were able to tour all of the grounds but not inside the house itself. 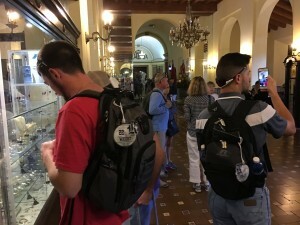 A number of years ago a tourist broke a glass object in the home and the government hasn’t allowed visitors inside since. The property contains an outdoor pool, pool house and Hemingway’s Key West boat the “Pilar,” which is dry docked on land (see photo in the gallery). Separate from the house, but accessible by an outside stairway, is Hemingway’s writer’s room. In it sits a typewriter (which he wrote the books on), a telescope and a painting of himself. The house itself is up on a hill and contains a Picasso painting. 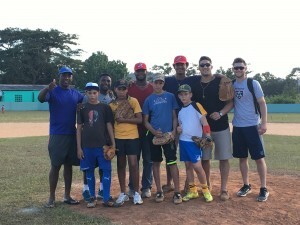 The team wasn’t able to complete its baseball games in Cuba, but baseball in this country has found them. Hemingway’s property includes a small baseball field, and the guys took advantage of it by doing some hitting and fielding with Cuban teenagers who work on the grounds. The field and teens are managed by former Cuban National Team member Jorge Rey. It was then time for lunch. After another short bus ride to the seaside town of Cojimar and the restaurant La Terraza de Cojimar, where they saw a tribute of Hemingway in the form of his own roped-off corner table and a bust made by local fisherman friends of Hemingway who melted down their boat propellers for the piece of art. The class was attended by a Reuters news wire photographer for a story coming out later tonight or tomorrow. Coach Wayne Graham was interviewed by Reuters at the hotel today. We believe the story is about how Americans’ plans changed in Havana after Fidel Castro’s death. 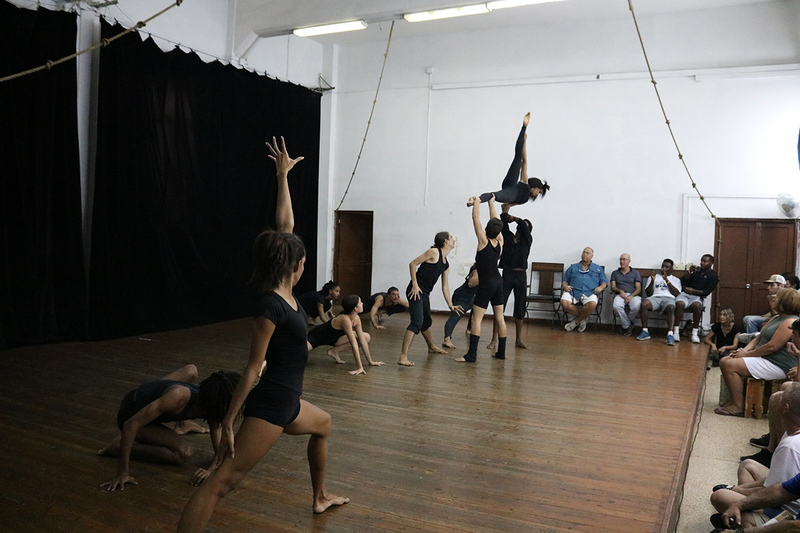 The class was made possible by Duno-Gottberg’s friendship with the company’s choreographer and director Rosario Cardenas. On the bus ride back to the hotel, Duno-Gottberg held another mobile session. He asked the student-athletes to compare and contrast the factory setting at the tobacco company versus the rural tobacco farm the team toured Tuesday in Vinales. Instead of the usual Fun Fact of the Day, we are going to leave you with a quote. Mouse over the picture below to open the Flickr photo gallery arrow buttons and view more images from the day. After a 13-hour educational and cultural excursion Tuesday (and activities that have kept the student-athletes busy since Nov. 23), the team has been given the day off at the hotel. They will spend the day relaxing, thinking about the history they have witnessed the past few days and chronicling it in their daily journals, one of their assignments for Professor Luis Duno-Gottberg’s semester class. This evening they will have a study hall. Tomorrow will be a full day. 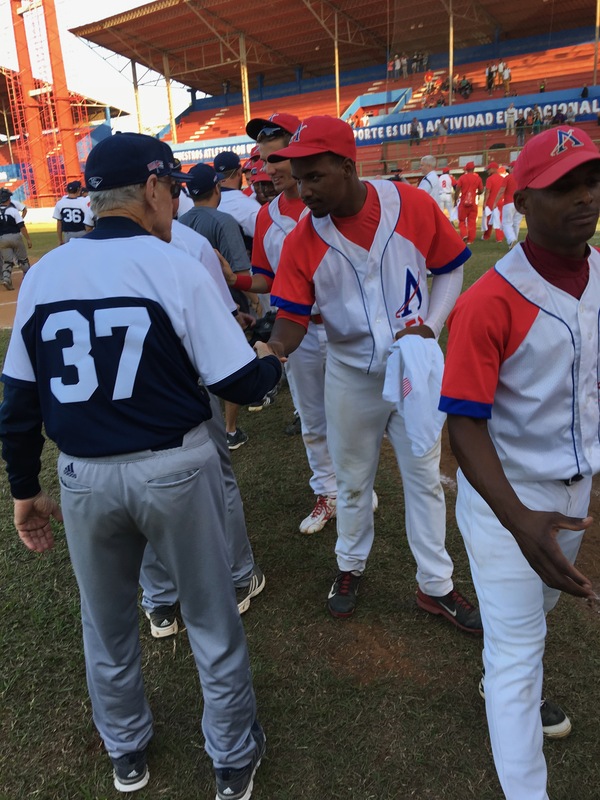 We have a good idea of what’s on the agenda, but since Castro’s death and the cancellation of our baseball games, all of the visits around the country have been works in progress, and confirmation of each day’s agenda has been less than 12 hours out. Again, hats off to Rice lead Greg Thielemann and Havana Tours for working on our schedules under unprecedented circumstances. It was a long but good day of bus travel for the team, staff and fans. We left Havana at 8:30 a.m. ET and headed for the northwestern hill country of Cuba. Our first stop was a tobacco farm in Vinales. 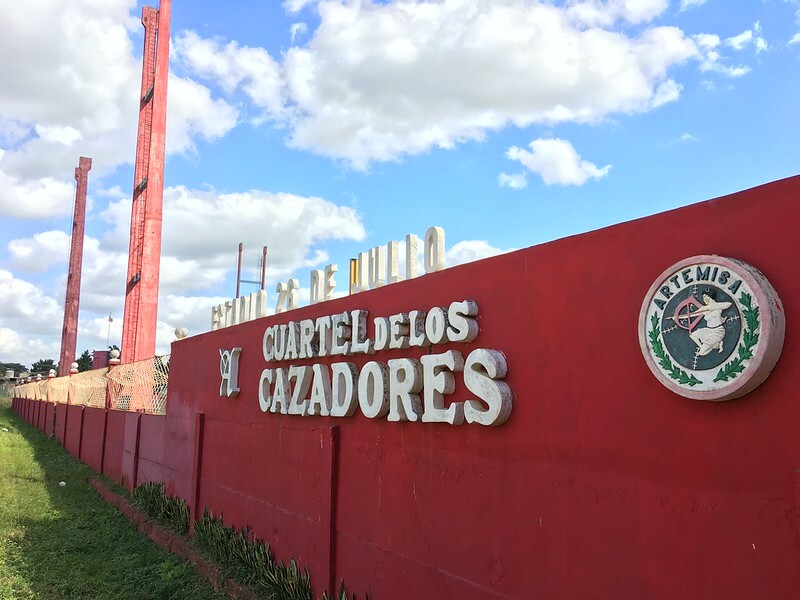 There the team visited Empresa Tabacalera, where they learned about the whole process of making cigars — from receiving the lab-modified seeds from the government to sending the leaf bundles to companies, to the final product you see on the store shelves. 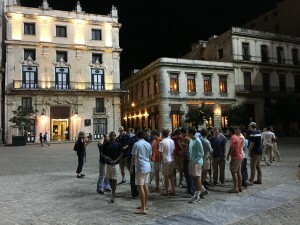 They also learned the economics of being a tobacco farmer in Cuba — tobacco is one of the nation’s top industries. For example, most growers own their own land but provide 90 percent of their crop to the government. After a short drive, the Owls found themselves overlooking the Valle de Vinales, a tourist stop with a great viewing site of the hills of Vinales. In the flickr photo gallery, take a look at the team photo, along with a human statue that joined the shot. A short walk away, we entered the remarkable Cuave del Indio that led to an underground river. From there, the team took a short ride on the river in small motor boats to view more of the cave before exiting back into the sunlight. Back in Vinales’ small town center, the traveling party took an hour to stretch their legs and do some street shopping. In the town’s square, which includes the only Catholic church in the area, one of the buildings had a walk-through memorial set up with flowers and pictures of Castro for citizens to pay their respects while official events were happening in Havana today. The exterior of the building was also adorned with Castro pictures. As town people exited the memorial, they were directed to a book to sign. 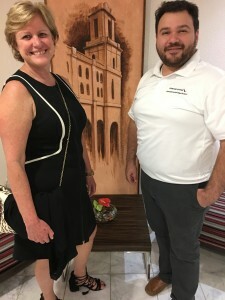 By signing the book, area residents were showing respect to Castro but also reaffirming their commitment to Castro’s revolutionary vision and the country’s beliefs. In the Flickr gallery, we have posted a picture of the pledge and a photo of someone signing the book. 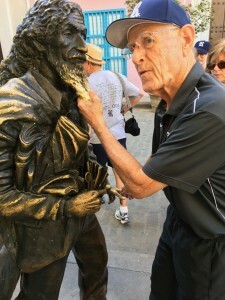 From there, we took about a 30-minute bus ride to Pinar del Rio, which is about 102 miles from Havana and is the capital of Pinar del Rio Province. It boasts a population of 140,000 people — or as they say here, inhabitants — and it is the 10th most populated city in Cuba. We had dinner at Rumayor, which is known for its succulent pollo ahumado (wood-smoked chicken). Everyone had it, of course! With full stomachs, the team then headed back to Havana. 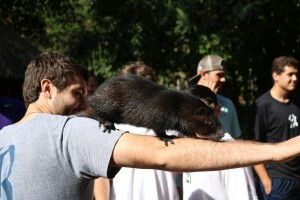 During the 2.5-hour bus ride, Professor Luis Duno-Gottberg held a portable class with give and take with the guys. He asked them to get the sight and feel of the agricultural aspect of Cuba by thinking about how tobacco and sugar help drive the nation’s economy. We rolled into the Melia Habana around 10 p.m. ET. I think it’s safe to say everyone will sleep soundly tonight. Ciao. 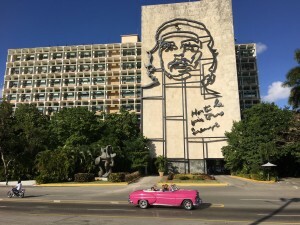 Fun (but not confirmed) fact of the day: We (Sully and David) have been paying close attention to how Cubans get around Havana and rural areas. 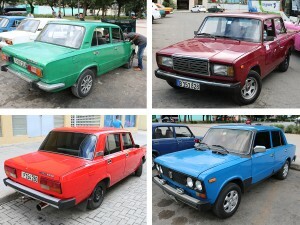 We have been in Havana, Old Havana, down Cuba’s National Highway and back roads. 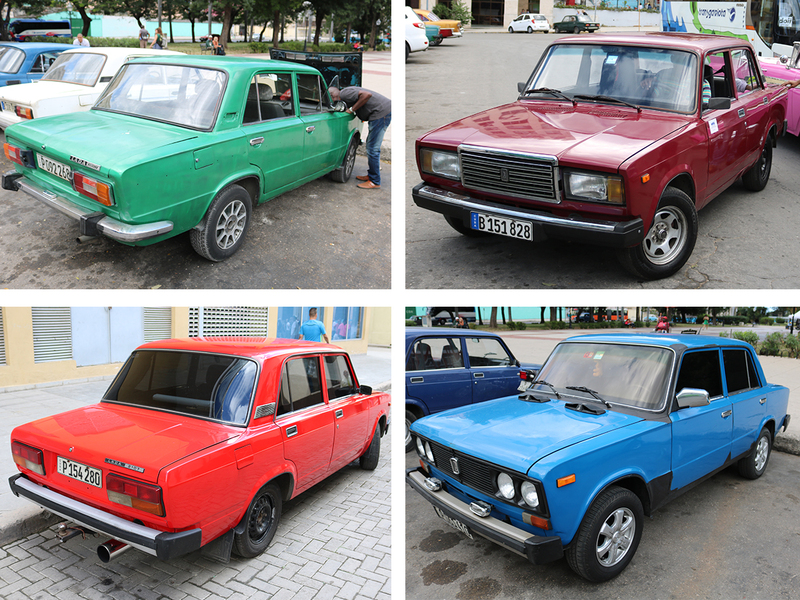 We believe there are a whole lot of Ladas. The Russian-made vehicle is still a big hit here. Proof is in the pudding. Believe it or not, when I told Sully I had this idea for the fact, he had a graphic ready on his computer from photos he’s been taking since we arrived here. 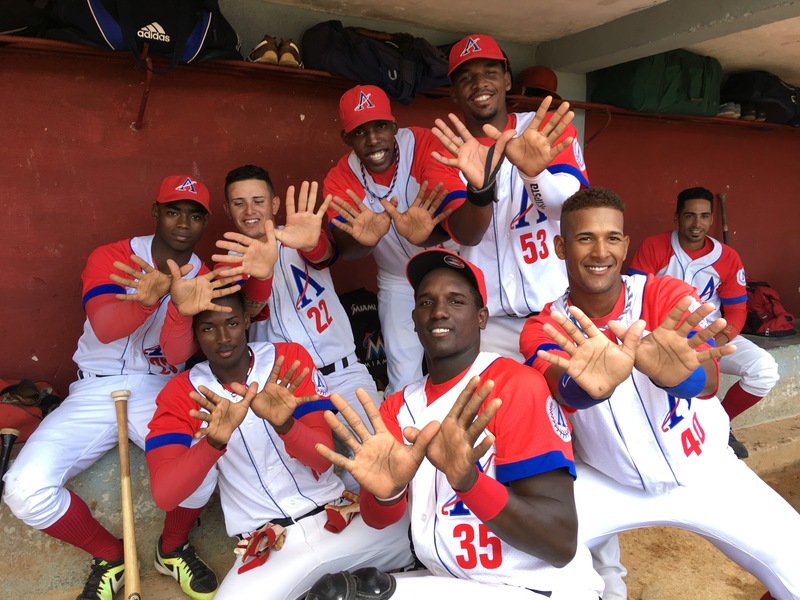 Before we get into the team’s activities from today, a quick update on what’s happening around Havana. Today started off with a bang. 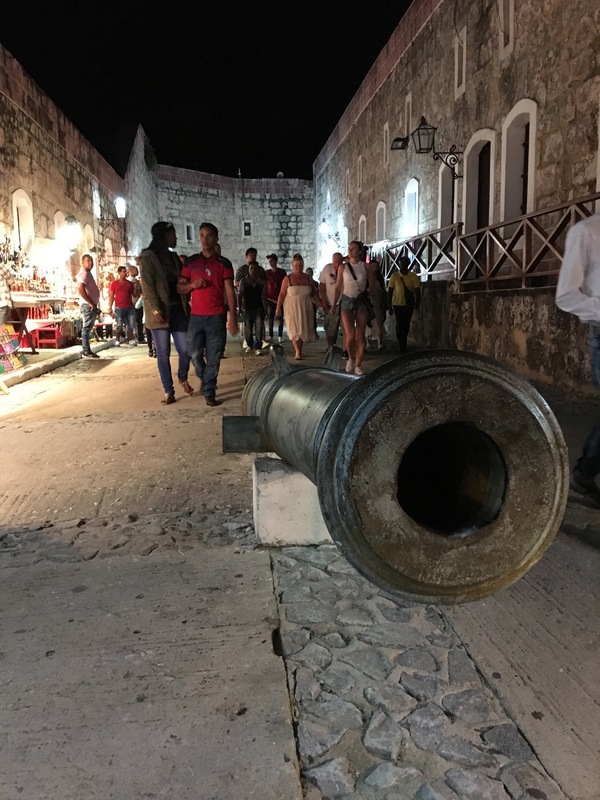 As part of its period of mourning for former President Fidel Castro, Cuba fired off a 21-“gun” (cannon shells) salute at 9 a.m. ET from the Fort of Saint Charles — where the guys visited on Thanksgiving Day — into the port of Havana. The shots from the fort could be heard from our hotel room patios, which we estimate to be about 7-10 miles away from the fort. 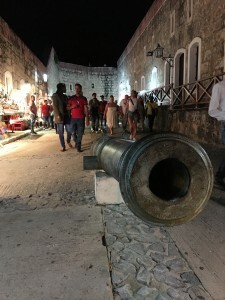 After the 21 shots, a single blast could be heard coming from the fort at the top of every hour today and until 9 p.m. The tribute will continue through tomorrow leading up to the public ceremony at 7 p.m. in Revolution Square. American Airlines staff arrived today after its first direct flight to Havana in 50 years. 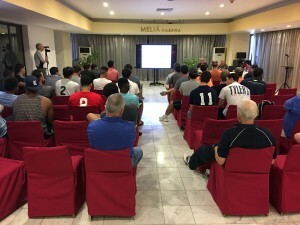 We also learned that upward of 45-60 countries will have dignitaries attending tomorrow evening’s event, and many of them will be arriving in Havana tonight or tomorrow and will also be staying at our hotel, the Melia Habana. As you probably saw in the news today, American Airlines and Jet Blue began direct service from Miami to Havana (we flew from Houston to Miami to Varadero). Many of the American Airlines staff who made that trip possible are staying in our hotel tonight. As I began writing this update, the hotel lost power for about 90 seconds at 7:30 p.m. ET. Power outages are common in Cuba; it’s the first we have experienced, and it occurred when the team was at dinner at Sloppy Joe’s in Old Havana. Our day began with a tour and lunch at the Hotel Nacional de Cuba. The National Hotel of Cuba opened in 1930, when Cuba was a prime travel destination for Americans, especially during Prohibition. The hotel has had many important guests, including Frank Sinatra, Ava Gardner, Mickey Mantle, Johnny Weissmuller, Buster Keaton, Errol Flynn, John Wayne, Marlene Dietrich, Gary Cooper, Marlon Brando, Ernest Hemingway, Winston Churchill and the Duke and Duchess of Windsor. Former Minnesota Gov. Jesse Ventura stayed at the hotel while visiting Cuba on a trade mission in 2002. By 1955, Meyer Lansky (known as the “Mob’s Accountant”) had managed to persuade Batista to give him a piece of the Nacional. That same year Pan Am’s Intercontinental Hotels took over management of the hotel. Alphons Landa, a prominent Washington attorney, represented Pan Am and arranged for other clients and friends to acquire pieces of the hotel ownership at the same time. Investors would lose everything when Castro came to power. Lansky planned to take a wing of the 10-story hotel and create luxury suites for high-stakes gamblers. Batista endorsed Lansky’s idea even though there were objections from American expatriates such as Hemingway. Under Lansky’s impetus, a wing of the grand entrance hall was refurbished to include a bar, a restaurant, a showroom and a luxurious casino. It was operated by Lansky and his brother Jake, with Wilbur Clark as the front man. Castro closed the casino in October 1960, almost two years after his overthrow of Batista. 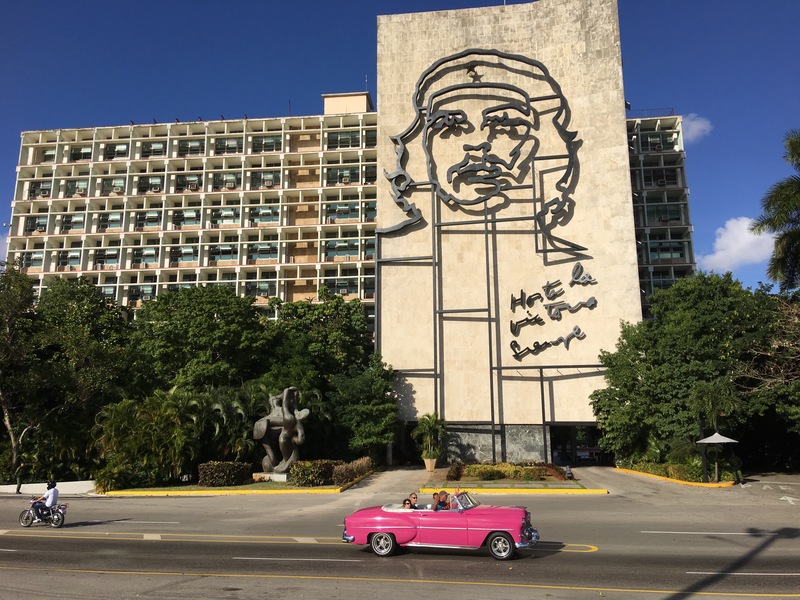 During the 1962 Cuban Missile Crisis, Castro and Che Guevara set up their headquarters at the hotel to prepare the defense of Havana from aerial attack. The hotel was built on the site of the Santa Clara Battery, which dates back to 1797. Part of the battery has been preserved in the hotel’s gardens, including two large coastal guns dating from the late 19th century, one of which is pictured colorfully here. 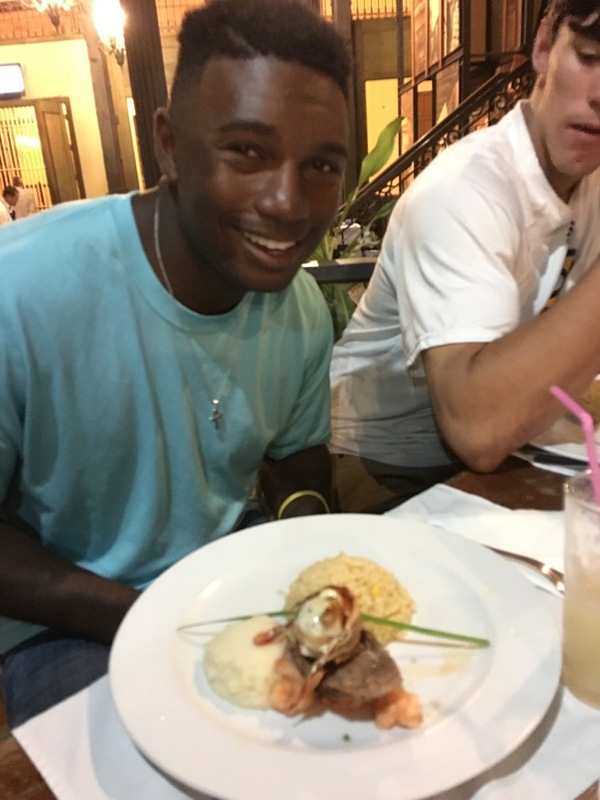 After walking through the hotel’s hall of fame and grounds, the team dined in an outdoor restaurant and had chicken and beef with white and dark rice, black beans and squash. After the lunch, the team used the hotel’s expansive back lawn to stretch their legs with a soccer ball and football. After a short drive, the team toured the Church and Square of St. Francis of Assisi. Located just across the street from where cruise ships port, it includes the church, shopping, hotels and living quarters for families. At about 3 p.m. one of those loud top-of-the hour shots went off — we were a mere mile or two from the fort — and pigeons darted around the square. Also, an elementary school was letting out for the day (see the last photo in our Flickr photo gallery for today). There is also a statue in the square of a French beggar who died in the 1980s. The beggar would only accept money if he could provide the donor a service, such as drawing. He was famous enough locally that municipalities in Havana agreed to erect the statue in his memory. While the team was touring Havana, assistant coach Scott Shepperd trekked south and went fishing in the Bay of Pigs. The Texas native’s goal was to land a bonefish. 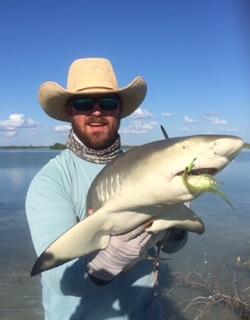 He not only did that, but he also caught a Cuban lemon shark. According to Wikipedia, Lemon sharks are found from New Jersey to Southern Brazil in the tropical Western Atlantic Ocean. They also live off the coast of West Africa in the Southeastern Atlantic. This species of shark often occupies the subtropical shallow waters of coral reefs, mangroves and enclosed bays, exactly where coach found this guy (pictured). As we were getting ready to post this update tonight, we noticed that Revolution Square is fully lit up, and we can now see it from our hotel room — even better so with our binoculars, which were initially packed and intended for our baseball games. Fun fact of the day: Dominoes, not cards of any sort, is the national game of Cuba. 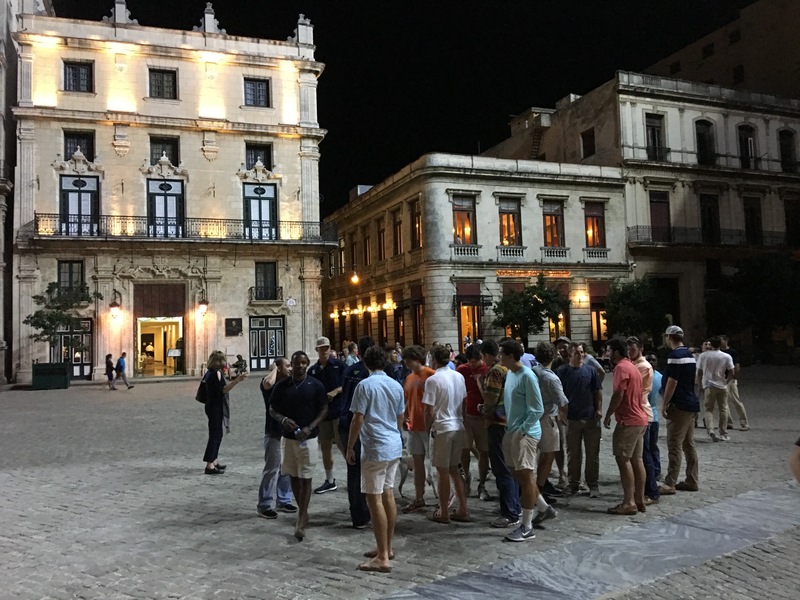 While the Rice University baseball team won’t be completing its five-game baseball tour out of respect to the people of Cuba as they mourn former President Fidel Castro, the Owls are maintaining their educational and cultural mission for the visit. 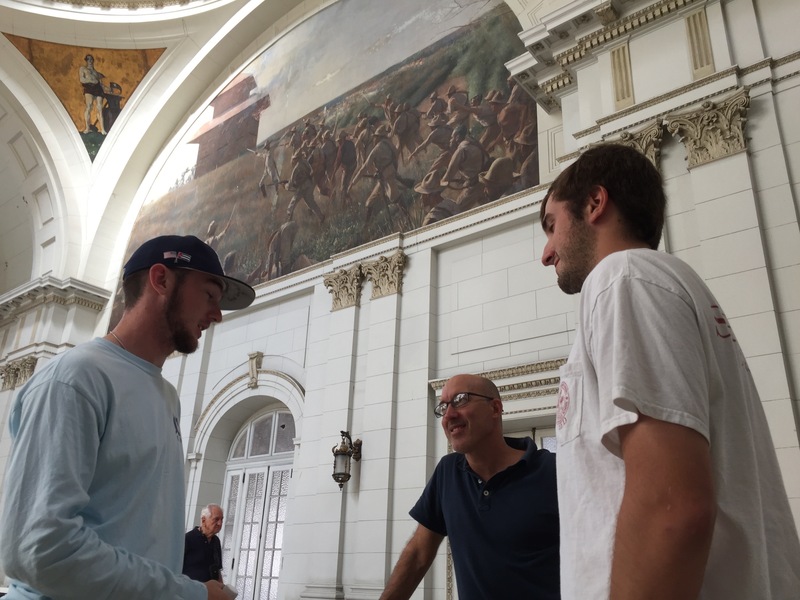 Led by Rice Professor Luis Duno-Gottberg, the team visited numerous Havana historical sites today in what was mostly a walking tour. 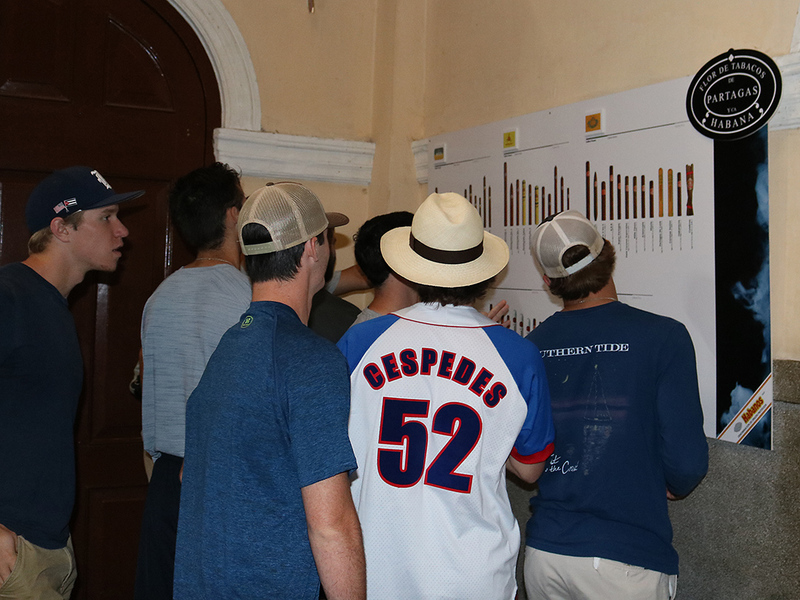 The Owls were supposed to have a game today, so we have to tip our cap to Havana Tours and our guide, Andres, for quickly putting together today’s events. The Museum of the Revolution. Granma — a site dedicated to military equipment that defended their nation. The Capitol Building — which is a duplication of the U.S. national capitol building. And lastly, the group visited Revolution Square. The team got to witness the government preparing the large public space for two days of events. Tomorrow (Nov. 28) Castro’s ashes will be lying in state in the square. The public will fill the site to pass by their former leader and sign a book as a visitor. It is also acting as a pledge to reaffirm a citizen’s commitment to the state and its values. On Tuesday (Nov. 29) there will be a large public ceremony at 7 p.m. The government was setting up audio equipment and other items needed for the expected thousands who will attend. When we were there today, workers were folding up a huge banner of Castro that will hang on the National Library building. If you walked through Havana today, you would have noticed that there was no music playing, the mood was more reserved and certain government facilities were closed, including the Museum of Fine Arts, which we had planned to visit. Also, restaurants and bars aren’t allowed to serve alcohol during the mourning period. 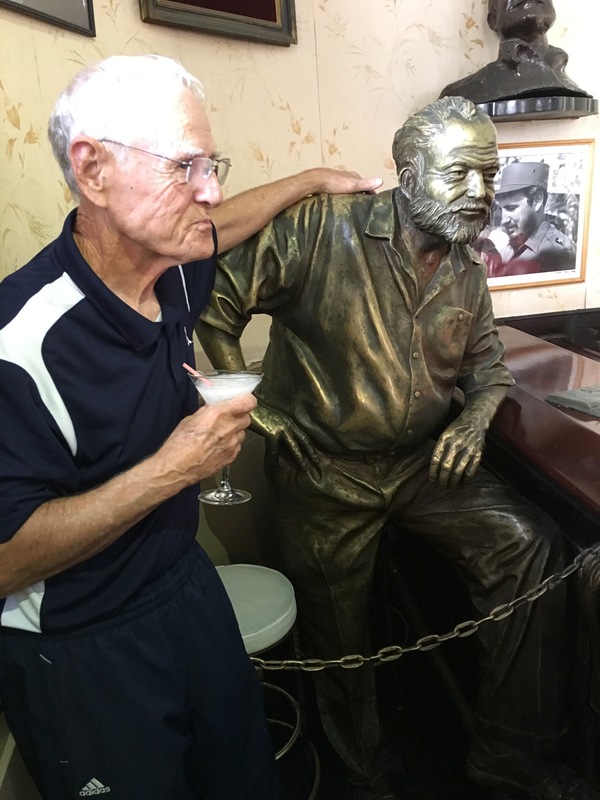 Matter of fact, Floridita, which is pictured here with coach Wayne Graham and Ernest Hemingway having a daiquiri, shut down right after the Rice nonstudents visited the famed Hemingway hangout. During the tour, four from our Rice traveling party were interviewed for ABC World News Tonight. Anchor David Muir used a sound bite from the Owls and also showed a picture from our game at Artemisa. You can watch the story, which led the Sunday news program, here. Duno-Gottberg was also interviewed outside of Floridita by New York’s WNBC-TV about the historical significance of Castro’s death. You can watch that story here. 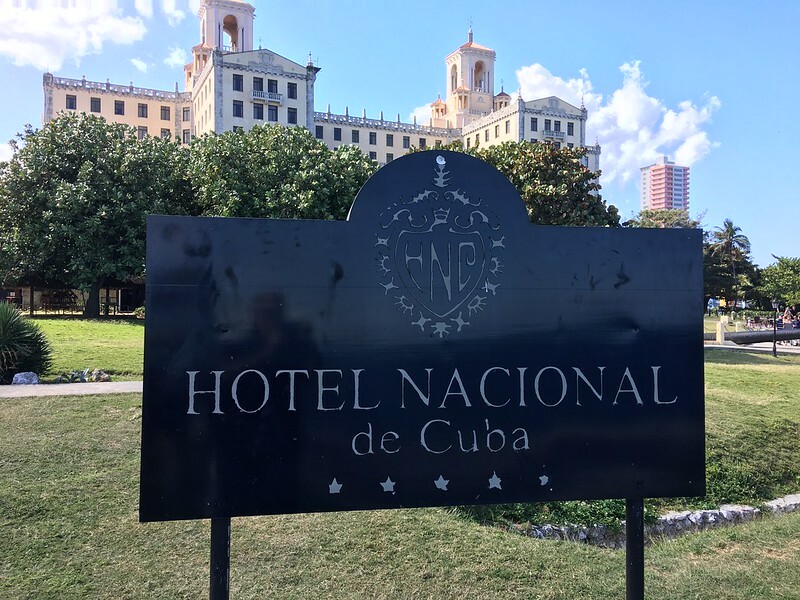 Rice and Havana Tours are working up tomorrow’s schedule yet tonight, but we know we will be going on a tour and having lunch at the world famous Hotel Nacional. We will also be visiting St. Francis of Assisi Square, along with a market. We haven’t mentioned television access yet, but our hotel offers news, entertainment and sports channels from Cuba, Russia, China, Mexico and the U.S. At our hotel we have access to CNN, ESPN, Discovery Channel and Disney. Since Castro’s death, all of the Cuban state channels have turned to broadcasting nonstop tributes and documentaries to their former leader. Fun fact of the day: In 2000, Fidel Castro erected a statue of John Lennon in John Lennon Park in Havana. Castro admired Lennon and believed he was a true music revolutionary. 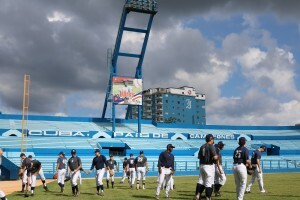 The remaining four baseball games against Cuban Federation teams, Mayabeque Huracanes, Pinar del Rio Vegueros, Cienfuegos Elefantes and Los Industriales, have been cancelled out of respect for Cuba’s national mourning period for former President Fidel Castro. The mourning period began yesterday (Nov. 26) and will be observed until Castro’s state funeral Dec. 4. The Rice University baseball team will continue educational and cultural events. Today, the team and travel party are going on a daylong tour. We will post an update this evening. – David Ruth, director of national media relations, and John Sullivan, assistant sports information director. The Rice University baseball team has suspended its scheduled practice today and other activities until further notice out of respect for the people of Cuba in their time of national mourning. 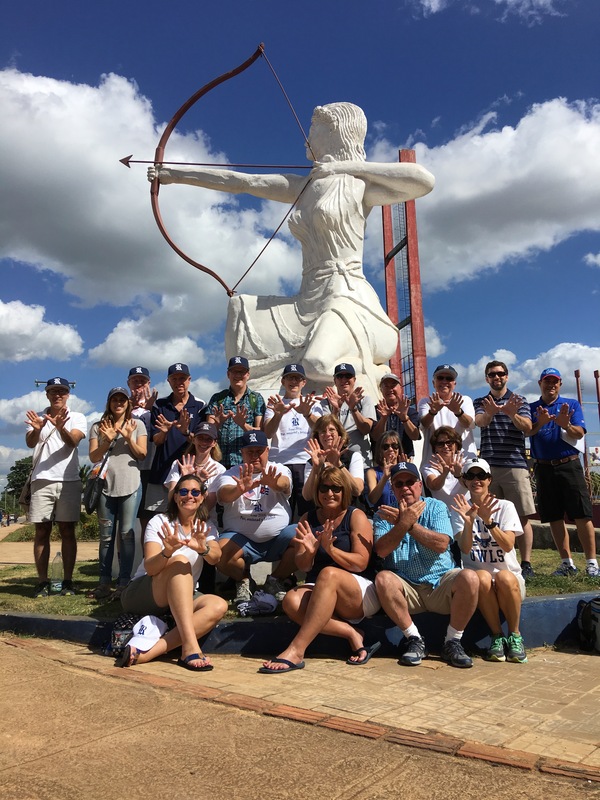 After their first practice of their trip in Cuba, the members of the Rice baseball team sent a greeting home.